We can’t seem to see an end in the applications of drones. They seem to be popping up every day so don’t just hype up drone selfies and aerial video and photography. They can get so much more done. From search and rescue to racing, and weekend fun, you have every reason to own a drone. The more popular drones are, the more likely you are to get a good deal. 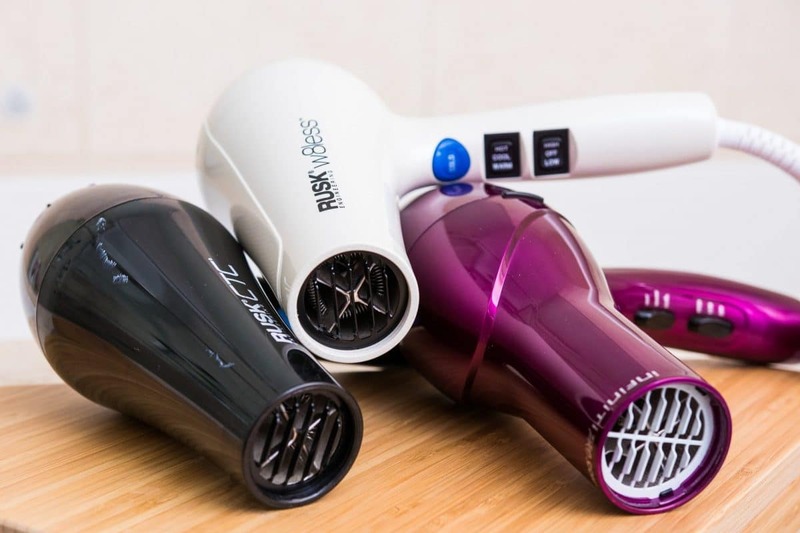 When looking to get one for under $500, you will want to know which features to go without. Here you will not mind going without FPV (First Person View), but you can expect GPS and HD cameras like the DJI Phantom 3. If you are not a tech nerd, buying a drone can be overwhelming. But there are those features you need to keep an eye out for if you look to enjoy your time with a quadcopter. An excellent cheap drone will be made of quality materials that can stand up to the rigors of the outdoors. 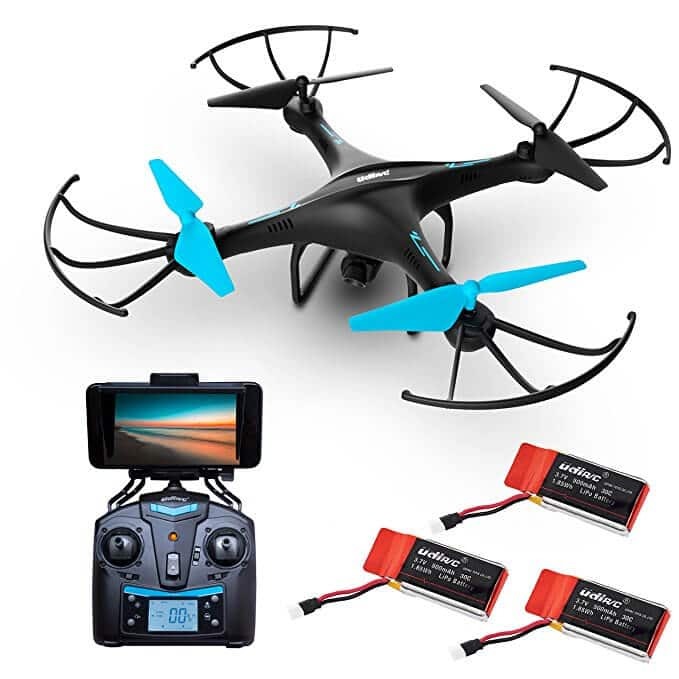 A waterproof body is not a must have, but a carbon and fiberglass frame is admirable as it can withstand crashes without damaging the internal components like the motor and battery.Toy drones are made of plastic. These are the cheapest drones that are in the under $100. You should not expect a long lifespan from these drones because if they crash hard, the body and the components will likely get damaged. A reliable camera is a must-have if you look forward to capturing beautiful images. If you are picking a drone for photography, HD and 4K cameras are the most ideal even on a budget.Getting high-resolution videos and shots with a budget camera is possible. But don’t compromise if you are into serious photography.A stabilizing gimbal is also another aspect of imagery that you don’t want to compromise. Even with the best camera, your drone cannot capture great photos and videos if the vibrations on the drone get to the camera. Drones pack a lot of components, and a battery is one of them. A battery with a long flight time is preferred especially if you are a pro flying over long distances. The flight time can be dependent on the outdoors conditions such as the weather and the atmospheric obtrusions. The weight of the drone also affects the flight time.A drone that gives you roughly 6-20 minutes can be said to be a good bargain.The charging time is also as crucial since some drones will require as long as 2 hours to charge but will give you only 5 minutes of flight. This is where replacement batteries come in because they allow continued use with the drone when one of the cells die. A drone that comes with the controller is much better than one that needs commanding through a digital app. A physical controller gives you the feeling of safety and confidence that is required when flying and more so when landing the drone.Some controllers will have more advanced features like First-Person View which means you can see what the drone is seeing in real time. This enables you to go further and avoid restricted areas as opposed to flying from the ground when looking up at the drone. Why we like it: It is ready to fly out of the box without any parts to install. Just charge it up and have some incredible fun with no training at all. The UDI U818A is an excellent camera with high agility and smooth flying capabilities. 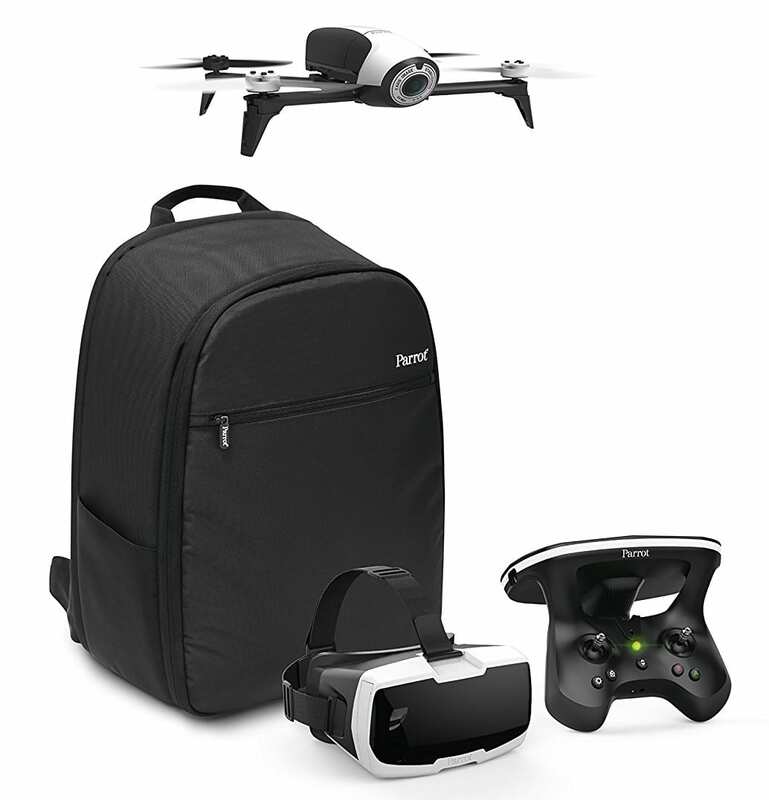 It comes with an onboard camera and 6-axis gyros that keep it stable in all flights. Whether you want to take great photos or videos of the scenery, it’s super fun to use this drone. It comes with a separate controller, so you don’t have to use a mobile app to operate it. You can get it to perform flips without losing control of it unlike when using a smartphone as a cockpit. The build quality shows it’s going to last in good condition thanks to the 4-ring design that protects the rotors. We like the quality of the rings not that they are the best but they will not break with the first crash. And the rotors also follow through with ingenious quality that can withstand adverse flying conditions. This drone includes two flight modes. This includes the standard mode which applies to beginners. It lets you have a feel of the drone so that you can improve your flying skills and be able to switch to the high-performance mode which is a bit tricky to fly without some basic skills. When you want to get a feel of flying a drone, UDC U818A is an excellent place to start. Its 2.4GHz transmitter is excellent to make the process a lot easier. Two modes help to put a test to your skills so you can have a clear place to start. Why we like it: This is a decent entry-level drone that is modified to have a stronger build and video recording capability with the onboard camera. 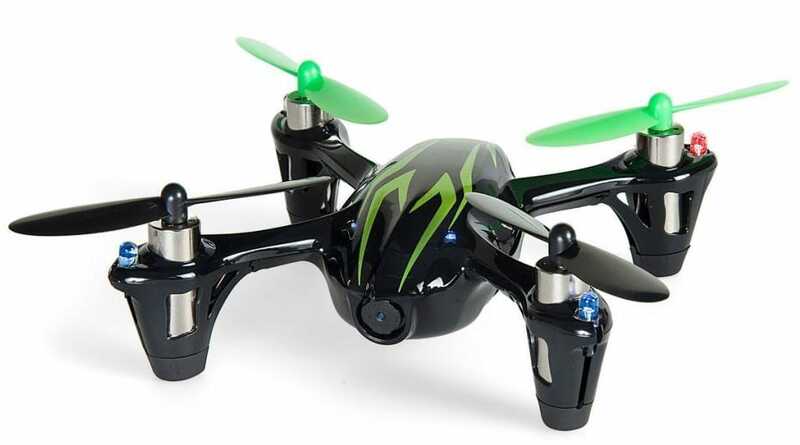 Hubsan X4 107C is a small and lightweight drone that will perform best in controlled indoor conditions. You don’t want to lose control of it when it is windy, but you can still use it when the conditions are right to take awesome pictures. This drone has a plastic construction, but this doesn’t mean it will break into pieces the first time it crashes. Hubsan has ensured that it has stronger propellers that can withstand a decent level of impact. You will like that instead of the traditional landing gears; it can land it has rubber feet that absorb impact upon landings. This drone is a 4-channel design that allows flying it in areas where there are other drones like it. It expresses a reasonable level of stability even as small as it is thanks to the 6-axis flight control system. It will maneuver nicely but don’t come with too high expectations when it comes to powerful thrust and the flying farther distances because it will not. The drone’s camera can capture videos with at 1280 x 720pixels resolution and 25fps. It is also not the best quality, but for under $100 it is much better than we were expecting. The camera will start recording with the push of a button, and an LED light will tell you that the recording function is on. The SD card comes in handy to make automatic recordings so that you won’t have to connect to an app. For an entry-level drone, it is surprising that you can get satisfactory images. The drone is super easy to control thanks to its flexible controller that will boost your confidence. You don’t have to stick to the indoors although that’s where it performs best. Why we like it: This drone has all the extra features that make it a well-rounded drone for the money. From live streaming to safety functions that ensure you will never lose your drone, it is a perfect first-time quadcopter. 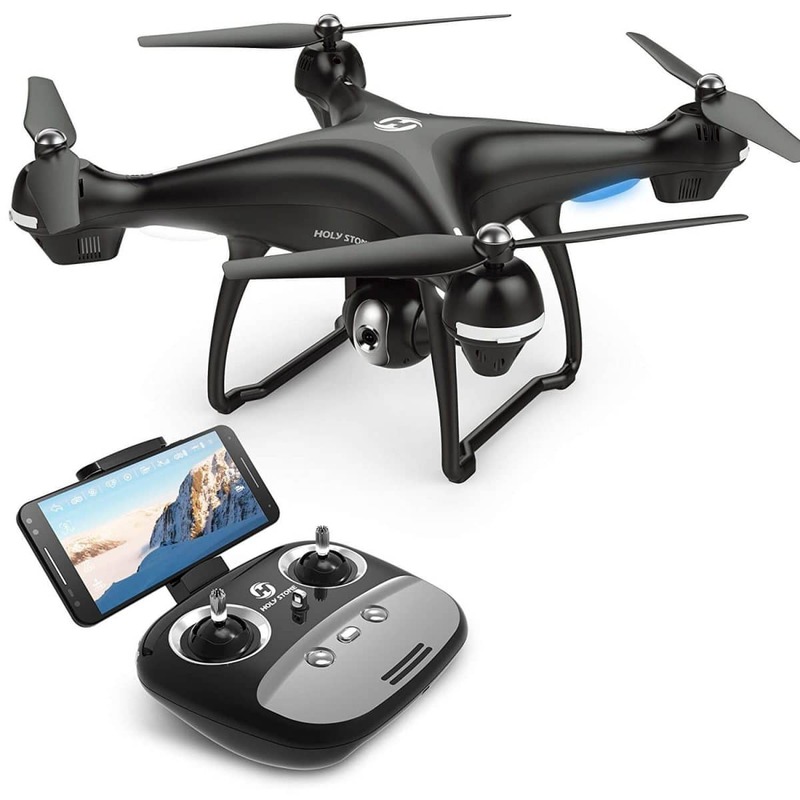 The DROCON X708W is a mid-sized drone that comes with the most intuitive beginner-friendly features. It is outfitted with an HD camera, and it is Wi-Fi enabled for live streaming. With the built-in HD camera, you get to take beautiful photos even if you are a novice in aerial photography. The camera is forward facing, and it is built into the nose of the drone. This position makes it much harder to damage if the drone crashes on its belly. The camera provides broadcasting of the images in real time so you can see what the drone is seeing. It is immersive, and you will enjoy every minute of it. Flying this drone has been made so effortless that you will learn by yourself to be in control at all times. The headless mode allows flying the drone forward no matter where the nose is facing. You will get a good feel of the controls as you master your flying skill. The one-key control feature also comes in handy to make the drone return to you when it is in headless mode. You just need to press the return home button, and the drone will find you. Nevertheless, it still needs to have a good charge level so that it will return before the battery gets depleted. For anyone looking to learn how to fly a drone and don’t want to invest too much money, you will like working with DROCON X708W. it is Wi-Fi-enabled, comes with headless and return home modes, and the controls have impeccable actuation. The only thing you won’t be enjoying is a long flight time. Why we like it: It is a highly stable quadcopter that uses 2 (1GHz) computers to control its movements. The drone is a nice option for hobbyists looking to have fun on weekends. The 3DR Solo quadcopter offers the most natural way of controlling it. It is comfortable on the hands, and you will experience the convenience of pushbutton commands that allow fast and easy flying of this drone. This drone does not come with a gimbal, but you can buy one to use with it. Including a gimbal will increase its price significantly but it will also get you clearer images. 3DR Solo carries a GoPro video camera. It is one of the most sought when it comes to capturing live action and sharing it with your friends. Because of the four rotors, this quadcopter is exceptionally agile. You can use it for a variety of purposes including aerial surveying and search and rescue. It has accelerometers and gyros that send information to two (1GHz) computers that keep in the air with less hassle. This means you don’t need to know a thing to start flying this drone like a pro. 3DR Solo provides effortless control using a companion app that is compatible with iOS and Android devices. With the app, you can get a live feed of what your drone is seeing straight from the GoPro camera. It is incredible seeing that the camera can offer live streaming up to half a mile. It is not something you get to see every day on a cheap drone. Go hands-free with the follow me mode and see your drone follow you around like a pet. It also has an orbit mode that can get a wraparound shot. Not to mention the cable cam and selfie modes for an exhilarating experience. 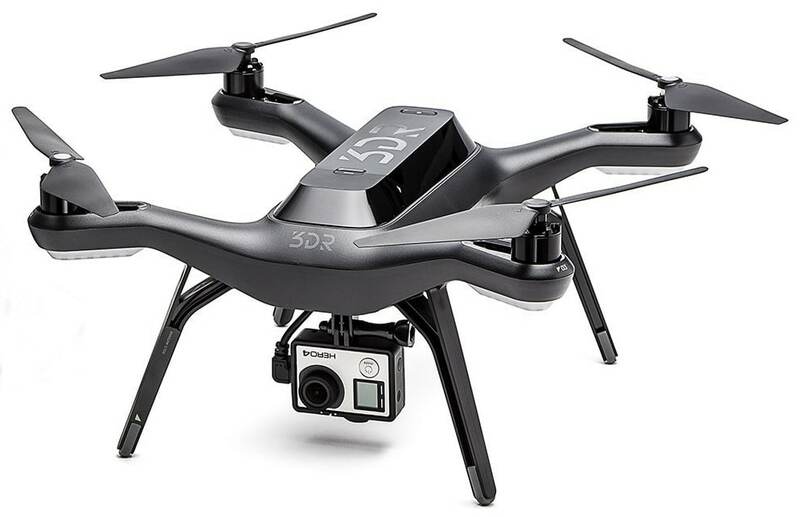 3DR Solo expresses quality and convenience by being powered by two powerful computers. It showcases some of the most sought features like smart shot technology and thoughtful shooting modes. Complemented by a full-featured Android and iOS app, you get a drone that delivers full confidence when flying. Why we like it: It is built for speed and agility. This drone can pick up speeds of up to 45km/h making it great in the hands of a pro. It is of high-quality build to withstand wind gusts while maintaining high altitudes. Great for racing. It is so much fun flying a drone, but your adrenaline shoots up once you get into high-speed competitions. You will want to get the most capable drone especially if you are going at it on a budget. 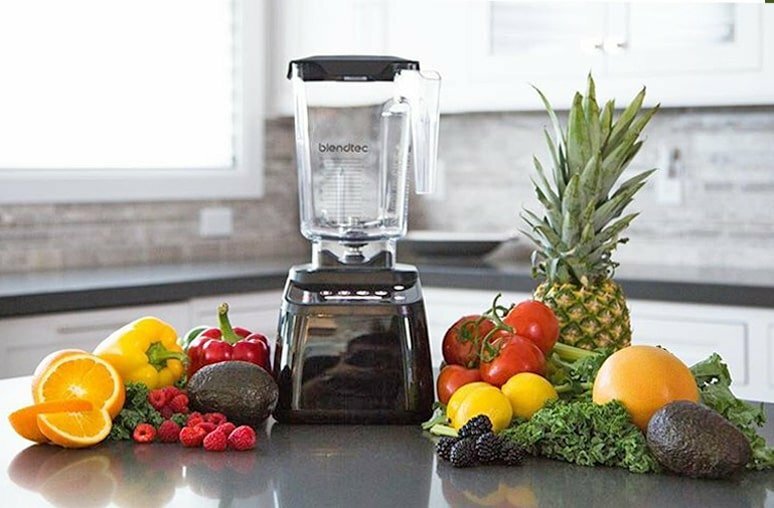 Holy Stone HS230 will not disappoint when you want to go farther and faster. Get a live transmission on the 5.8HZ open ISM frequency. It is less crowded which means more stability and better range. You will still need to pick your battles, but at speeds of up to 45km/h, it is not exactly an entry-level drone. Its maneuverability is over the top and a good pick when training to fly and race a drone. It does not have an auto-hovering function, so you be controlling the throttle at all times. When you want to be a pro, you cannot rely on the auto-hover function to keep the drone in place. This is a racing drone, but that doesn’t mean leaving out epic pictures to keep memories of your excursions. With an HD 720p camera, you will be able to bring home beautiful videos of yourself and your other racing friends. It can also capture high-resolution 12MP pictures that are social-media ready. Holy Stone HS230 goes beyond our expectations in an entry-level drone. This drone uses advanced flying technology that includes FPV and high wind resistance. Its clean, streamlined body is a nice touch to help keep it in the air for longer. You get to experience superfast speeds with no auto-hovering. The lack of an auto-hover function prevents taking your hands off the the controller which takes away some of the confidence when flying. Why we like it: It gives a unique view of the world since it supports virtual reality. 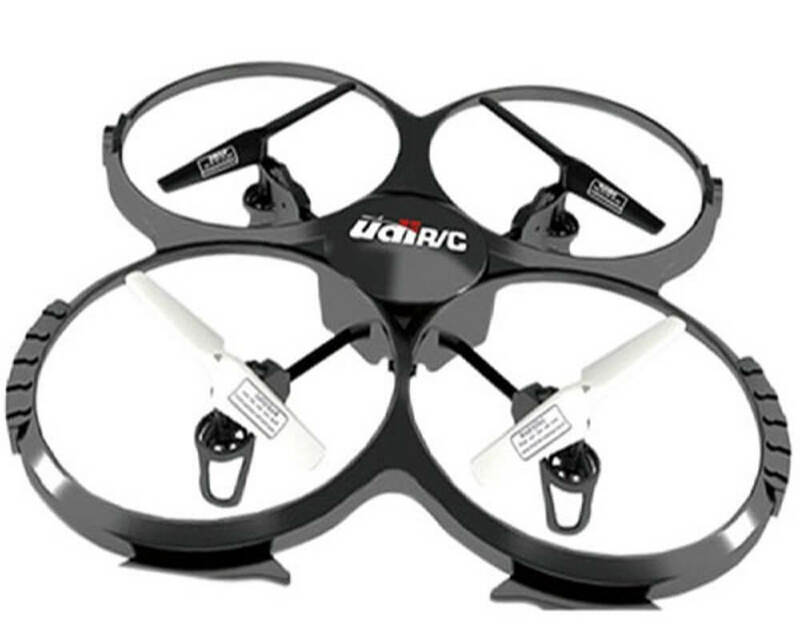 It appeals to adults and kids to bring undeniable fun in a novelty drone. If you are looking for an immersive remote-controlled quadcopter, you can’t go wrong with the Force 1 drone. 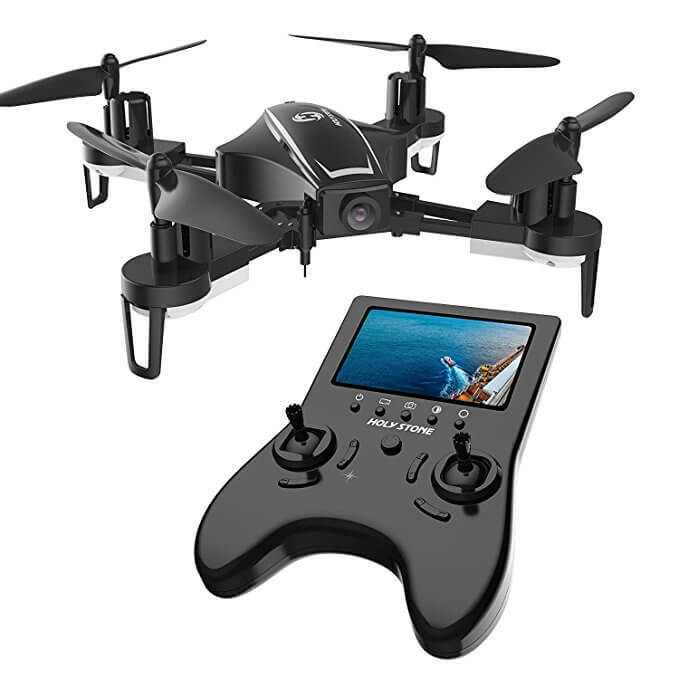 It is a feature-rich quadcopter that comes with an HD camera and supports FPV. Force 1 is a fantastic option for drone fans especially if you like going at it on weekends. With a 720HD drone camera, it can deliver crisp photos and videos that will awe your friends and your eyes too. It has a headless mode and an altitude hold so it can hover in place. It will soar smoothly with a signal distance of up to 320ft. The 6-axis flight control provides altitude stabilization so that it can compensate for any uncommanded movement. This makes it stay in the air longer even when you have no idea your next course of movement. Force 1 includes a remote control that feels good to the hands. It does not feel any bigger than you would when flying with the Parrot Bebop 2, so you can expect controlled flights at your fingertips. The drone provides FPV footage in HD. It is an incredible experience that gives you more flight confidence. You get more flying time with the three extra batteries. It is a thoughtful addition that puts it among the top picks. If you want a compact and portable drone that you can take to all your excursions, this model is certainly a huge consideration. A 12MP 720P HD camera gives you superior quality photos and videos that you can store directly on the SD card. It is a good option for short distance flights. It is not a serious aircraft though so if you want one for photography you are better with the DJI Phantom 3 Standard. Why we like it: This drone appeals to hobbyists and professionals looking to own a powerful drone that is great in flights and videography. It has a ton of features that add up to the ultimate drone for the money. DJI sets the standards of drone technology in this industry. The Phantom Series is their most popular line with the Phantom 3 standard right at the center of budget drones. This quadcopter is here to give you powerful flights and top quality photos and videos. With a 2.7K camera, this drone will deliver HD videos at 1920 x 1080 pixels and 12MP photos. It is such a pleasing model to have if especially if you spend life in the outdoors and would like to take home the most memorable moments. With the 3-axis gimbal, it is pretty evident that your photos and videos will not be affected by any vibrations coming from the motor. It gets you crisp, clear images that you can share and store your favorite memories. The automatic flight assistant is the most intuitive since the drone will record its takeoff point with the help of its GPS module. If it loses your remote’s signal, Phantom will return to your position instead of crashing. Controlling it is with a flick of a finger as it only needs you to know where you want it to go. The quadcopter hovers after takeoff waiting for direction commands. It will also hold its altitude when you pause it or stop giving instructions. Flying the DJI Phantom 3 Standard is a breeze. You can get live quality video using the DJI Go app. The app allows you to see the live image from up to ½ a mile away. This means you can fly it for longer distances. It is a must-have when you are into serious photography and looking to get comprehensive coverage of an event. The battery running time is perhaps the longest you will get with a drone in this class. It gives you 25 minutes thanks to the intelligent battery. Better still, Phantom will return home once it senses a low battery. 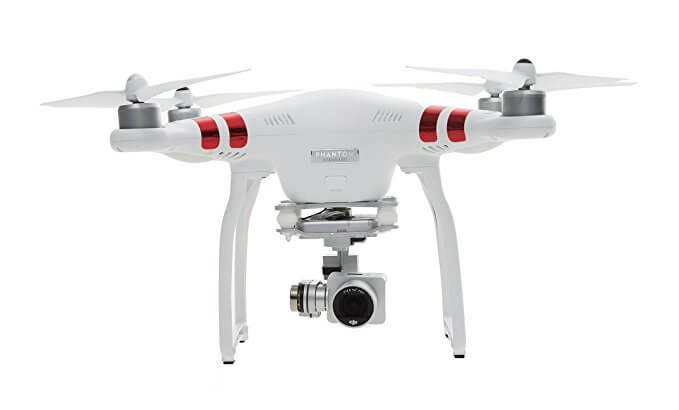 The DJI Phantom 3 standard has excellent photography and videography capabilities. It is a top pick for both professionals and hobbyists owing to its unequalled flight power. The flight and control is excellent if not the best from the takeoff and landing. It is what you are looking for when you want a quality quadcopter. Why we like it: This drone pairs some high-quality features like FPV, GPS and Return Home with an adjustable wide-angle camera. It is large and powerful to withstand gusty winds and flying in demanding situations. The Holy Stone HS100 drone sheds some weight and some pixels on its camera but other than that, it has entered the midrange market with a bang. Not many drones can give you the specs of Holy Stone at the price. 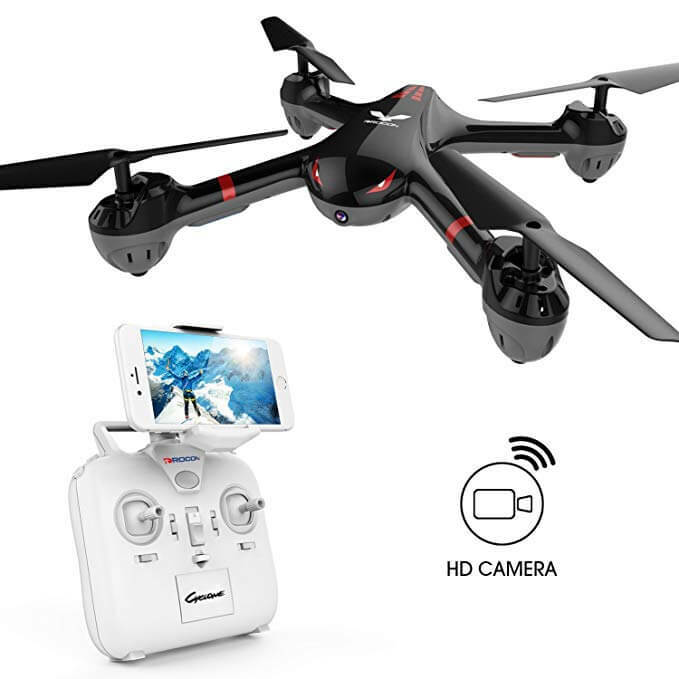 First, this quadcopter has an adjustable wide-angle camera that will capture videos in HD 720p and 12MP photos. You can adjust the camera to suit your aerial view to enable capturing of images from the best possible angle. 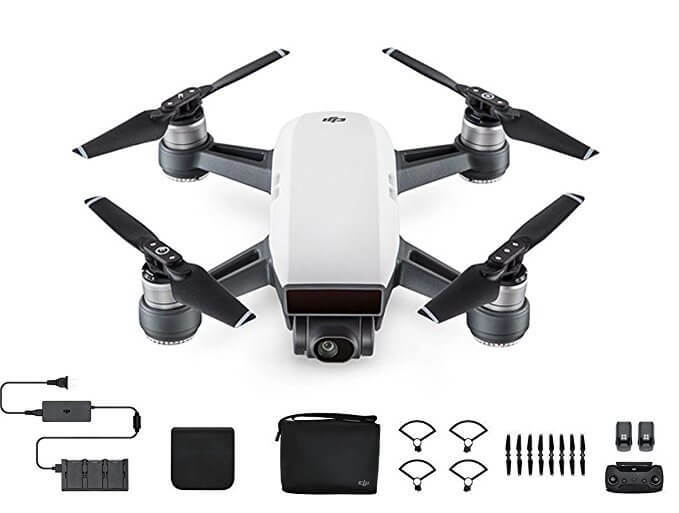 You can bring this drone to adventures like the beach or a pool party and take photos and videos that you would never do with a selfie stick. View your flight in real time with the help of the FPV mode using the mobile app. It transforms your smartphone into a flight cockpit and a camera since you can still take the photos that you want in the FPV mode. Real-time streaming is only 150 meters, but you can still control it for up to 500 meters. When you want hands-free selfies, just turn on the follow me mode, and you can pose better and have more videos to share with friends and family. Only one button is needed to launch and land this drone. It makes it easy for novice users to fly the drone safely. This drone comes with a 2500MAh battery that has 15 minutes running time. We can call it a good bargain as it is one of the few with a flight time that’s capable of taking meaningful videos and not only pic shots. The return home feature is incredible to have. The drone has a failsafe auto return to prevent losing your drone. It will also come back when the battery is low or in the event of signal loss. Holy Stone HS100 lets you experience and share life at the same time. From the live feed to the follow me mode, it will give you a reason to enjoy your days. It does not have the best videography, but we can say it justifies the price tag. It supports use by beginners by having a headless mode, one-key return, emergency stops, and adjustable speed. Why we like it: This is a high-performance drone that has a mechanical gimbal to deliver shake-free shots. Every picture has full-color fidelity making it ideal for selfie enthusiasts. DJI’s Spark does not fit in with an entry-level drone. That is why you will find it in the hands of experts. It has incredible image quality thanks to the 3-axis gimbal that captures every moment of the action. We start with the camera that has stabilization features because of its UltraSmooth technology. Everyone will be wowed by the quality of your pictures. You might even be asked to reveal your secrets. But it’s not really a secret since the camera has a f/2.6 wide-angle lens and a 25mm focal length. It delivers greatly contrasted images since it can record color as it should. It will capture the sunset as it is and bring out the colors of an evening sun with precision. Its different shooting modes make it all the more versatile to help in the shooting of different sceneries. This drone is lightweight, yet powerful to fly in most outdoor conditions. It is GPS-assisted, and it comes with lots of flight safety features. This includes enhanced awareness from the dual-band GPS, vision positioning system (VPS), accurate inertial measurement, and 3D sensing system. These features keep it flying safely as it can detect obstacles and land safely. DJI Spark allows intuitive gesture controls. Yes, you can use your fingers to control this drone. Vision technology allows tapping on the screen of your phone, and the drone will go to where you want while still avoiding obstacles. It also allows you to take selfies with the motion of your hands. This drone maintains powerful propulsion with speeds of up to 31mph. It has increased stability that allows it to fly in windy conditions. With the real-time video, you can fly up to 1.2miles with the help of live video transmission. DJI Spark is super fun to use. The HD camera makes it all so real when capturing the best images since you will be in for a good time. You can share your pictures in real time. From tracking to taking professional, quick shots, and even exploring the various shooting modes. We are sure you can’t really exhaust what Spark has to offer. Why we like it: It provides the most immersive experience thanks to the additional cockpit glasses. For the best adventures, Parrot Bebop 2 is here for the asking. Parrot Bebop 2 Adventurer is a lightweight drone that will be a great companion in the outdoors. It comes with the carry bag to provide simple carriage. It is extremely simple to operate this drone so you can count on it to give you a smooth time. Flying this drone is a thrilling experience. It comes with the cockpit glasses to give you a new and immersive way of operating the drone so that you can feel you are inside the action. It provides real-time videos of what the drone is seeing which make it more exciting and fun. The camera on this drone records in full HD. 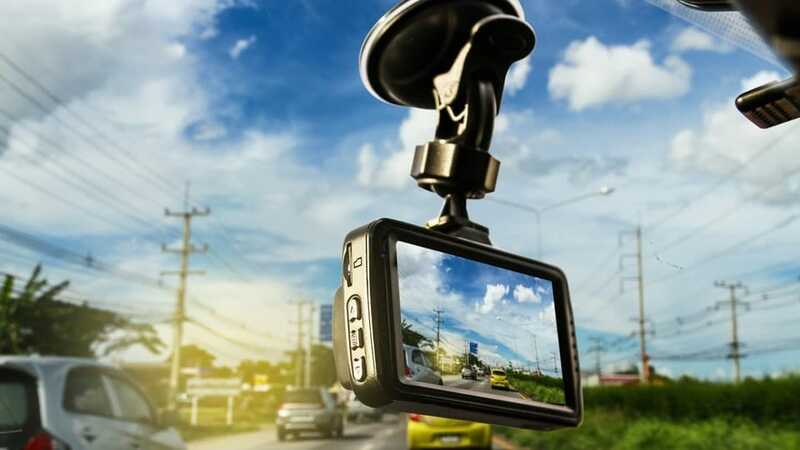 With the 3-axis digital stabilization system, all images and video will be clear and accurate as it eliminates choppy images. All your excursions will remain vivid as you get to capture videos with a sense of freedom. Although this drone has powerful rotors on the arms, the pictures remain surprisingly stable thanks to the 3-axis gimbal. We like that you don’t need to be a pro as it can maneuver smoothly, thanks to the Parrot controller 2 that masters the tactile controls and accelerometers for you. Parrot Bebop 2 Adventurer has a Follow Me mode which is always a welcome feature on a drone. This is because it will come in handy when you want hands-free operation like recording yourself when running or rock climbing. The compact design of the Parrot Bebop 2 Adventurer is what makes it suitable for the outdoors. It has a slim profile that allows it to maneuver safely around trees. With the cockpit glasses, you can have an exciting experience that is replete with all the beautiful aspects of owning a drone. Most people like to make us think that drones are easy to fly.Which they are after you get accustomed to them. But before you do, you will want to get a drone that is suited to your skills such as auto-take-off and auto landing capabilities. The thing with cheap drones is that they have less control which can be overwhelming when trying to fly a drone for the first time. If you are a pilot starter or an intermediate flyer, you will need to have basic flying skills. This way, you can enjoy flying instead of crashing your drone every two minutes. There are different types of drones directed at fulfilling different purposes. They range from casual drones, photography, racing, and many others under the $500 price range. A racing drone will have better maneuverability and stability as opposed to High definition cameras for great photography. If you are a hobbyist, you are also looking to have better speed and agility in your drone. Another type of drone that is conquering the market and having its share of fun is the selfie drone. It is usually a pocket drone much more or a selfie stick on steroids. It is foldable and will definitely fit in your pocket so that it will be ready for your next Instagram shot. Ready to Fly, RTF, drones come fully assembled as opposed to DIY designs that come as kits that can need minimal or extensive assembly. An RTF is the type you pick if you are an absolute beginner and the only thing you can get down to doing is charging the battery and install the propellers. With DIY drones, you may be needed to install the motor, battery, ESC, and find the right flight controller to go with your drone. So much can be done with a DIY drone. Before you consider an almost ready to fly (ARF) drone, it’s important you find out how much work you need to do to get your drone flying. Knowledge about the sensors onboard your drone is essential so that you can know how the environment will affect flying your drone. The GPS receiver is one of the most critical as it tells the drone its location. A drone will need to establish the position of four GPS satellites to get an accurate location. The location affects things such as search and rescue or building of 3D images since it has to be the exact location of an object. It is also essential for recording the return to home feature. The compass works hand in hand with the GPS sensor so it can tell the drone the direction that it is facing to help it use the GPS correctly. Compass interferences is a significant cause of crashes as it brings about a situation where your drone cannot find the direction, and it goes in circles which eventually leads to a crash. How high can how far can the drone reach? Most consumer drones have a range of only 30 meters. If you are looking to take professional videos and photos, you may need a higher altitude. This is something you will need to watch out for before deciding on a particular drone is for you. Eventually, your drone will require replacing of some parts. You will want to check the availability of the components and if you can perform the repairs by yourself. Some drones do not give you the option of replacing any parts. As such, it is not ideal to invest too much in a model that you will only use until it breaks down. You can always keep an out for drones with more features like First-Person view for live feeds, obstacle avoidance to allow smooth navigation. With obstacle avoidance, the drone will hover when it senses an obstacle instead of smashing into a tree. Other extra features include follow me, 3-gimbal axis, propeller guards, track target, headless mode, etc. A high-quality quadcopter is not straightforward to find. We have researched the Best Cheap Drones to present this list with the top models. These are drones that come from remarkable brands to suit various categories. You will find a photography drone, FPV, selfie, beginner, and drones to fulfill use in many other categories. Don’t watch on the sidelines. Get one of these drones and be part of the action.